Social Media is Here To Stay! Growing Everyday! WHAAAAAAAT!! You have a Facebook business page with no strategy? No consistent engagement? But it has potential to be the next hot page. Sound like your business’s page? Facebook has the largest user base of any social network, so if your business is not benefiting by having a solid Facebook presence, you are missing HUGE lead generation opportunities. What is stopping you???? I know, I know, you do not have the time to research, think about strategy, write a million posts to put into a calendar, find and create images, comment on your fans responses, learn how to become a graphic designer, learn how to create professional looking apps with exciting ways to create contests, offers, games etc…. So HIRE a professional. Yes, it’s really that simple. But Rita, who do I hire? A social media strategist that really knows and understands all the variables involved. Read their blog posts, does it sound like they know what they are talking about? Do they demonstrate their knowledge? There are plenty of strategies to create your Facebook success. A number of ways to create Facebook content that captures your audience’s attention not your peers. Here are seven reasons your Facebook page may not be performing at optimal levels. 1) Not Using More Visuals. Facebook’s new timeline, is designed to support big, bold visuals. According to a recent study by Fast Company, 44 percent of social media users are most likely to engage with companies that post visual content: graphics, photographs, videos, and infographics. If you’re not using visuals liberally, you’re ignoring your audience’s needs and inviting them to go elsewhere to find compelling visual content. Go BIG. Go bold. Quote famous individuals. Share videos. Use your company colors, and play with font shapes and sizes to optimize for both desktop and mobile. 2) Not Using Your Facebook Space With Intelligence. Facebook recently changed their policy to allow using calls-to-action on cover photos!!! Yay! (Here’s an explanation of the change.) The cover photo is front and center on your page, and it also shows up in the feed when someone “likes” your page, so you should absolutely be using relevant marketing graphics on your Cover Photo. Customize your Facebook tabs to create graphically-appealing landing pages that boosts lead generation efforts. If you created an eBook or a guide, for example — and have created a cover image specifically to promote this content using words and colorful graphics. Your new content will get more eyeballs with a customized tab. 3) Not Combining Your Posts To Offers. You can increase your customer affinity by gaining their trust with good content. The best way to do this is to use both organic and paid posts to direct your audience to customized landing pages within Facebook. (Facebook rewards your marketing efforts with better reach for your campaigns if you keep your landing pages within Facebook, instead of sending users to your website.) On landing pages, you can provide a timely, relevant webinar registration offer or an ebook in return for contact information, for example. By giving away content that users value, you get something even more valuable in return: recipient info that bolsters your marketing automation efforts. Yes, it’s all about the CONTENT, CONTENT, and CONTENT! That is not going to change, just use it. You need a strategic plan that gets results. I LOVE my editorial calendar! Don’t judge, you will too, once you get your editorial calendar on! You will love it too. Cause it saves the stress of wondering and rushing to post something every day. 5) Not Paying To Upgrade Your Reach. All marketing is about trial and error. Experiment with your ad tactics and content. Determine the types of content your target audience engages with, and then produce more of it. You might be surprised at the success of non-traditional content experiments, so it’s always worth entertaining new ideas. Facebook is the perfect place to be in marketing. NO ONE wants to be pitched to right away or all the time, no different than being a telemarketer or knocking on someone’s door to interrupt their time- the thing no one cares about you or business until you give them a REASON to. You have to entertain them, tell them a story, give them something to share, and HELP them. Then, when they are looking for your business services, your company will likely be top of mind, because you’ve put in the work to give free value to their lives. 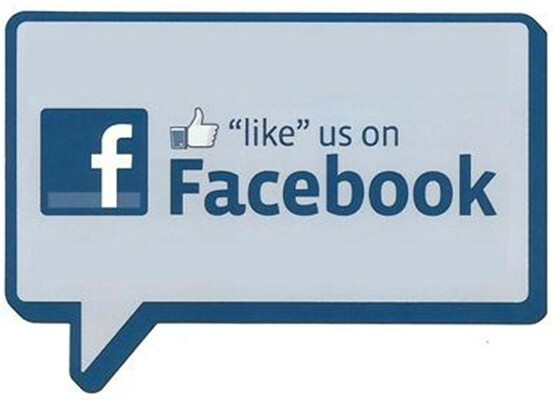 Do the actions, I described above, effectively, and your Facebook page will perform much better. Make your Facebook page a go-to hub for your customers, fans, and the general public to find your content. Yes, Amy, we should be having fun in our businesses that is what makes us successful because it gives us more positive energy to do more in business and attract others to do business with us. Ensure to subscribe to my blog via email to read more valuable strategies for your further social success. This is one of the better post on how to utilize your Facebook Page to it’s fullest advantage. There are so many social media “gurus” out there that don’t have a clue and just regurgitate what others have said, but your suggestions and plan make sense. Working Facebook Pages as a business, with a business/marketing plan is the only way to NOT wast our valuable time and energy. Thanks Rita for a well thought out and informative article. Thanks Christopher! Appreciate your appreciation for my strategies and tips. Ensure to subscribe to my blog via email. Enter your email address to build your fame and fortune Now. Get Free Social Media Success Strategies Now by entering your Email. Enter your email address to follow this blog and receive notifications of success strategies by email. Call 1-855-886-3843 to arrange to talk to me.